Best Little Burlap Christmas Tree EVER! 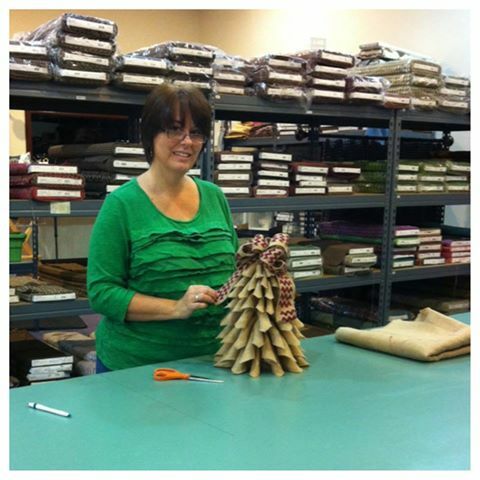 Don't you just LOVE burlap and Christmas? The creative possibilities are so inspiring when you combine those two. 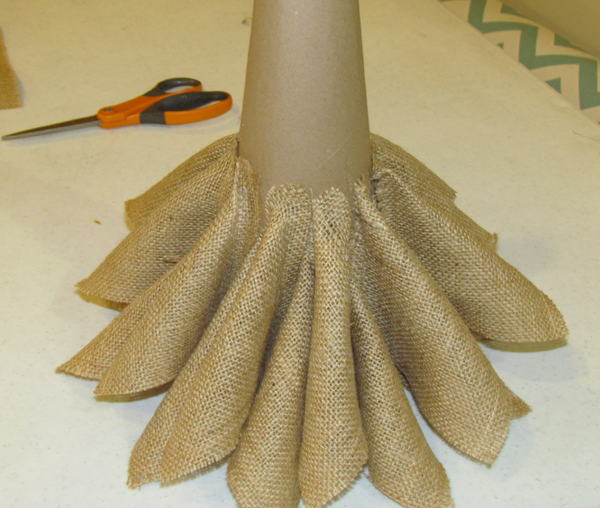 This little burlap Christmas tree was the result of my inspiration last week. 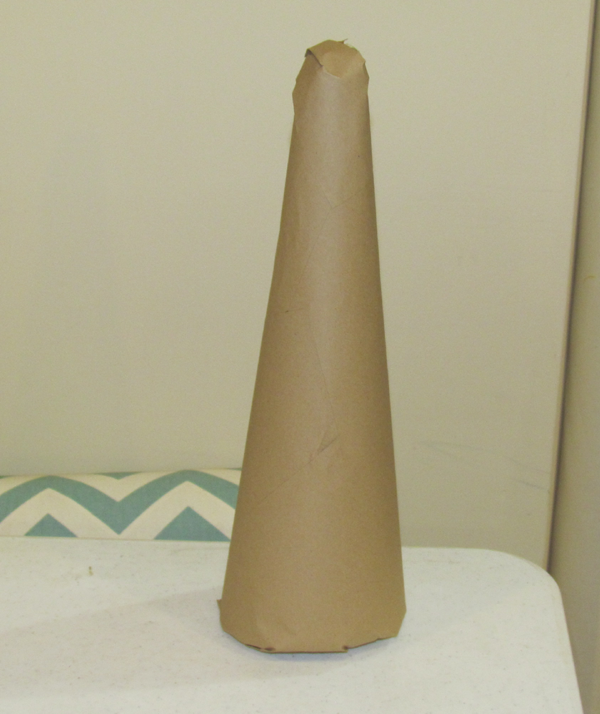 Basically I started with a kraft paper covered cone and a little pile of burlap squares. The handy dandy glue gun put all this together in just about an hour with no sewing required! In the pic above, I experimented with different toppers but in the end, I decided to just go with the basic red chevron burlap ribbon. Check out our Rags-n-Rhinestones blog for a more detailed tutorial. Don't forget to check out all our great burlap craft blanks that we just got in stock for this Christmas season at JubileeFabric. Happy Christmas crafting!